It takes a one in a million kind of spouse to follow their partner here. It takes a special person to follow their partner to the armpit, ars*ehole or ends of the earth. A very special person indeed. One in a million in fact. One of my favourite expat quotes EVER was coined when a British couple moved to the small island of Okinawa, Japan. At the time (aside from a formidable US presence on military airbases, which was a self contained community with their own on-base shops and cinemas and social life), the sum total of the expat population was around 10 people and most of them had Japanese spouses and were there on a fairly permanent basis. Rose tinted glasses soften and morph reality. When it comes to expat life, from the outside our life may look perfect, but expectation and reality rarely tally. I didn’t have actual rose tinted glass or lenses to use in my photographs, so in true expat style improvised with rosé filled ones. Yes, a certain amount of rosé was consumed during the staging of the photos for this post. Yes, it might have been even more fun to use actual human friends and share the wine, but it was tricky enough seeing tiny Lego people through a wine glass, so there we go. This is what people back home often think expat life is like all the time. Big house, flash car and time and money to fritter. Icebergs, people, cacti….you can’t always see the full picture, maybe because your perspective is skewed or obscured. Sometimes you have to go the extra mile and dig a little deeper (in this case inside my wheelie bin) to get the full story. These large cactus ears popped out from behind our chimney over the Christmas break. I thought they looked about the size of a human head each. I let our landlord know and a man with a ladder duly appeared to remove them. I meant to ask him to let me see the cactus before disposing of it, but it had already gone in the wheelie bin by the time I’d walked the dog. I smiled and pretended that was exactly the answer I had wanted to hear. It wasn’t though, I am inquisitive by nature and really wanted to see the cactus and confirm whether my human head estimate was accurate. I waited for him to leave and the minute his car turned out of sight I was rummaging in the bin and ended up tipping the contents all over the driveway to see what I could see. There’s always a bit of a brouhaha when it comes to labelling or describing expat partners. A few of the titles used include Expat Spouse, Expat Wife, Trailing Spouse, Trailblazing Spouse, Lady of Leisure, Lady that Lunches, Guy that Golfs, Excess Baggage or as my husband endearingly calls me Expensive Habit. None of the terms is perfect and some are deeply loathed by the expat community. So, I’ve come up with yet another alternative for you. It’s an analogy that first occurred to me when I wrote about the industrious dung beetle after we saw hundreds of them on safari. They are completely fascinating little creatures and the comparison between expat partners and dung beetles has been scratching about in the back of my mind ever since. Yes, I am comparing the Trailing Spouse to the Dung Beetle. Gin and tonic is an iconic and yet slightly negative symbol of expat life. The drink contributes to the image of the idle, drunk, spoilt expat living a life of luxury in far flung tropical locations. But do you know the real reason expats first started drinking gin and tonic? You might be surprised. There is a great deal of poverty in South Africa and some expats choose to use their time here to do what they can to contribute to improving and empowering local communities through a variety of volunteer programs, fundraisers and initiatives. 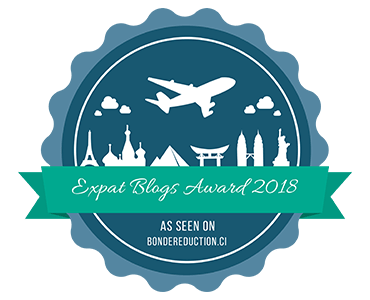 All in all there are some fantastic expat projects going on. Today’s guest post is written by expat Mona Brantley with input from Annabel Newell. Mona currently heads up the Friends of Diepsloot volunteer team that has invested an enormous amount of time and love in Thokozani Preschool over the last few years to great effect. Over to Mona…..
Where is your happy place? Have you found a place in your current location that makes you smile, where only good memories are made? For me and many other Joburg expats that happy place literally is Thokozani (a Zulu word for “a place or state of happiness”). Four years ago, in April of 2012, Laurence Braeckman, a Belgian expat, went into Diespsloot township to look at schools, day cares, and preschools. When she discovered Gogo and Thokozani, she knew she had found her happy place. Gogo (Zulu for grandmother because no one calls her by her name Miss Lizah) had already been running Thokozani for six years, primarily as a day care and a place of safety for the very young children of Diepsloot. Moving to Lagos? You need to know the lowdown on the lingo. The official language of Nigeria, the language of business and commerce, the common language for Igbos, Yorubas, Hausas and other tribes to communicate with one another is English. Whether you are a native English speaker, or like many expats have English as a second (or impressive third or even forth) language, it sounds like one less thing to worry about when moving to Nigeria. However, even when more standardised English is spoken (and a lot of the time it will be the less comprehensible pidgin English that you hear around you), there are various words and phrases that are likely to confuse, amuse or befuddle you from the moment you step off the plane. You might figure them out easily, you might not. Let me help by decoding a little bit of Lagos Lingo for you. A is for Area Boy: A local hoodlum. Watch out, watch out if you are told the area boys are about. I am THAT woman. I don’t know how it happened, but I am the mug that runs our local expat Facebook group. 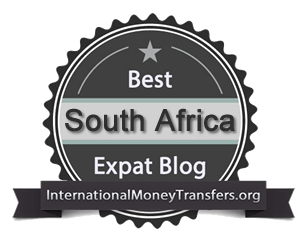 I assumed there would be one (an expat Facebook group, not a mug) when I arrived in Johannesburg. After all, I’m sure every major city has had at least one of these groups for ages. I searched for it before I arrived, I asked around when I got here. I got tumbleweed. So eventually, I stepped up to the plate and set one up. It took all of 10 minutes to pick a name, write a description, add a photo, select the settings and add a few friends. I think I started off with about 10 people. On the back of the initial 10 minutes that I invested, not much happened for the first couple of weeks. Then a lot happened. It’s become a bit of beast. A much needed and generally much appreciated beast, but a beast nonetheless. Here are 10 things I’ve learnt from running an expat Facebook group (and yes, there are links at the end of the post).